The court is a classroom, a sanctuary and a stage on which to leave your mark. 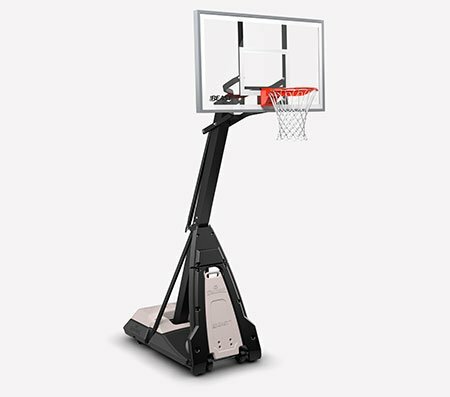 The Spalding Ratchet 44" In-Ground Basketball Hoop brings the arena to your driveway. It has a sturdy steel rim that's spring-loaded for a smooth breakaway. 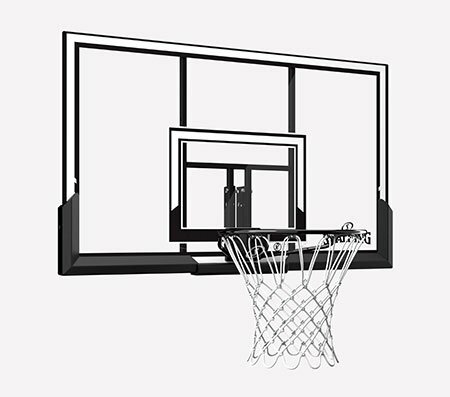 The clear backboard has a 16" offset so you can play underneath the hoop, and it's made of durable polycarbonate for a good rebound. 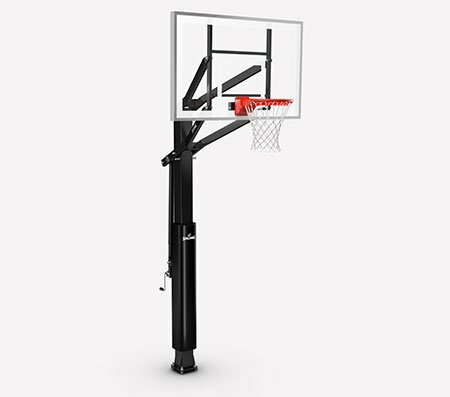 With the ratchet lift, you can adjust the height of the rim from 8 feet to the regulation 10. Backboard size: 44" x 30"